The beginning of a new year is a great time to look through old stuff lingering in your backyard shed, or in your garage. 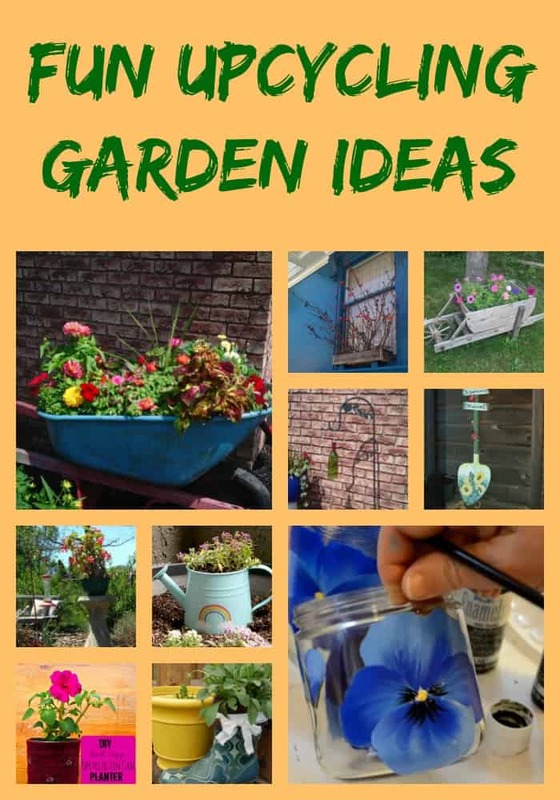 I’m doing just that this week, and I gathered a few upcycling garden ideas for inspiration. 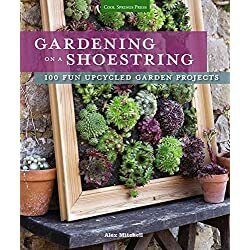 Gardening on a Shoestring: 100 Fun Upcycled Garden Projects Let’s see what I found so far that either needs to go to the trash or find a way to recycle it into something useful. If I can’t find a use for these, maybe I could turn them into some sort of garden art, or even a new container for my flowers. 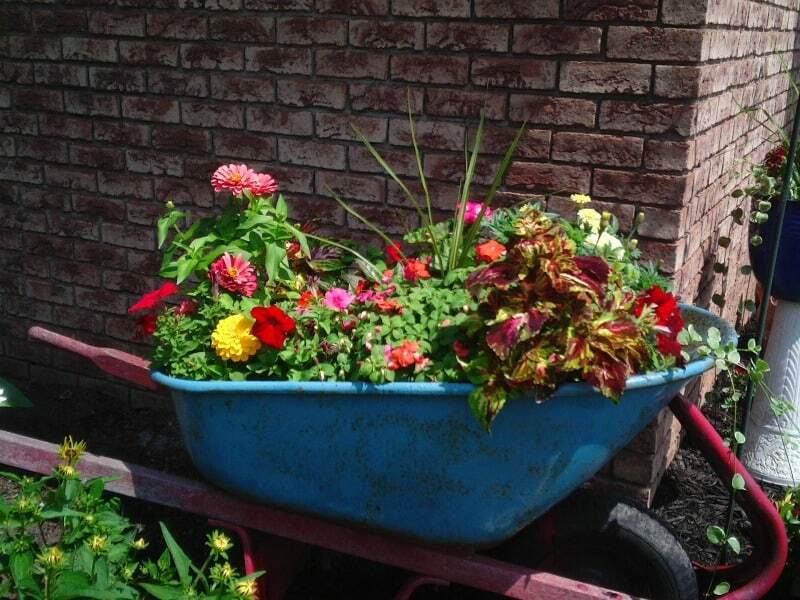 I’ve seen this over and over again: an old barrel transformed into a beautiful wheelbarrow garden. you can make it the center of attention in your front yard, or you can move it around as you feel inspired. In the end, it’s beautiful no matter where you place it. 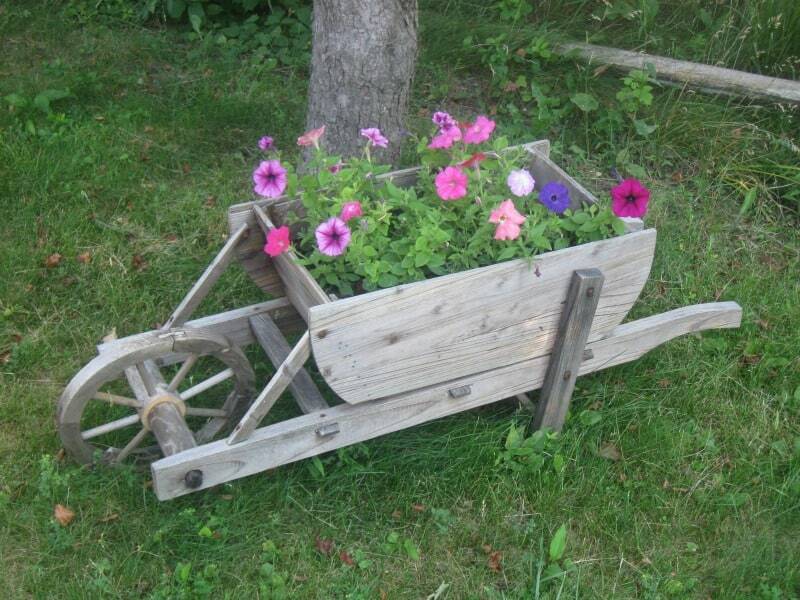 If you love working with wood, you can make a wooden wheelbarrow to display your plants and flowers. This one looks gorgeous! 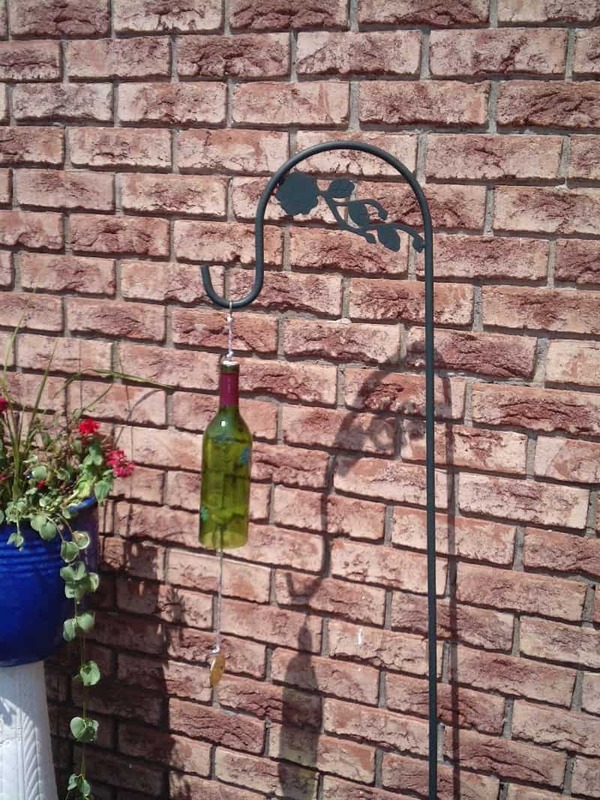 You can use just one bottle, or several of them to create a musical garden wind chime. Got some old pallets? 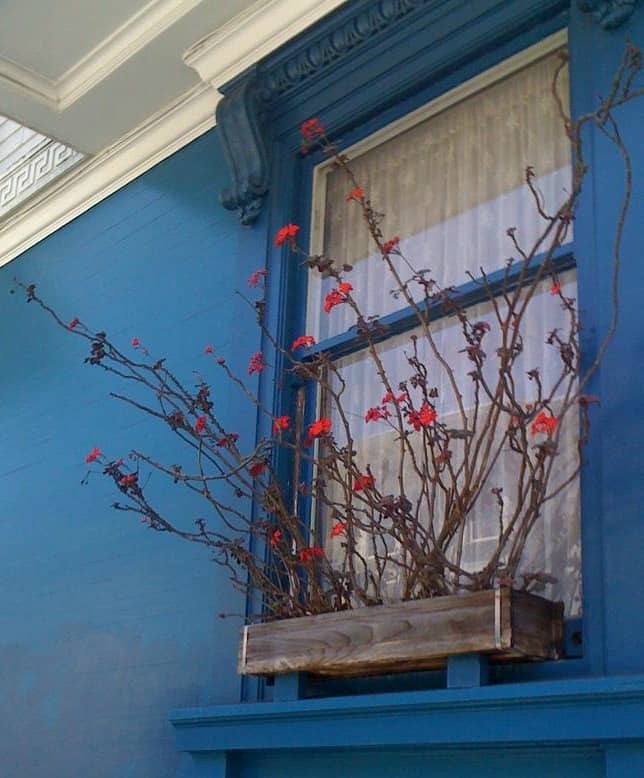 this window box looks really easy to make. Add some lovely flowers and you’ll have a beautiful (maybe fragrant) windowsill garden. What a cute project! 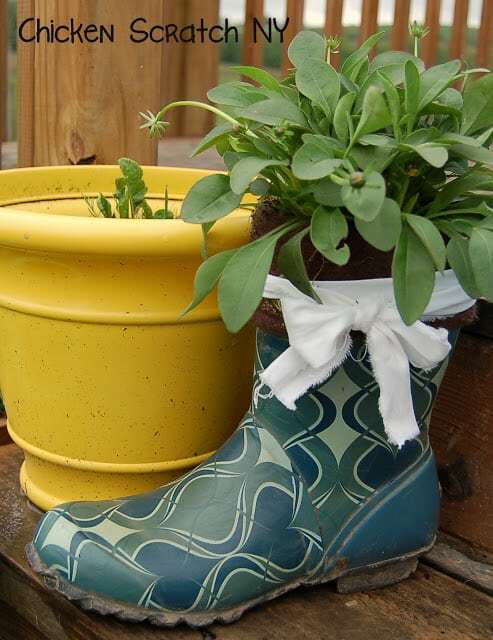 Alecia over at Chicken Scratch saved a pair of broken pair of rubber rain boots and make them into beautiful containers for some dwarf coreopsis she received as a gift. I love how her projected came out! I hate it when my watering can gets a hole and it starts dripping. Sometimes, I can still use it for a while, but it’s not fun loosing half of the water in the process. 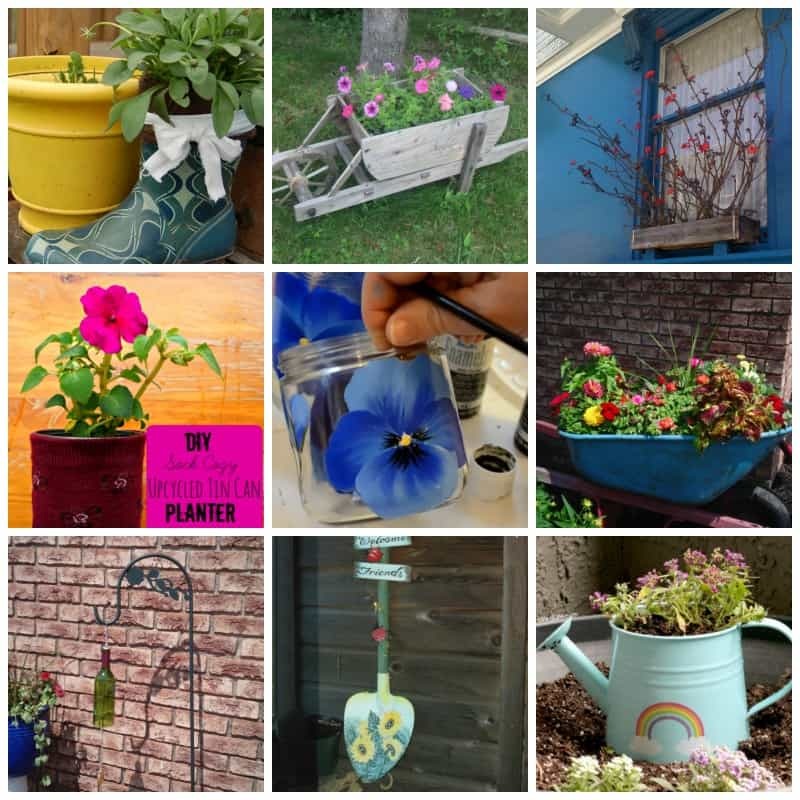 Here are some more planter ideas! Who knew? 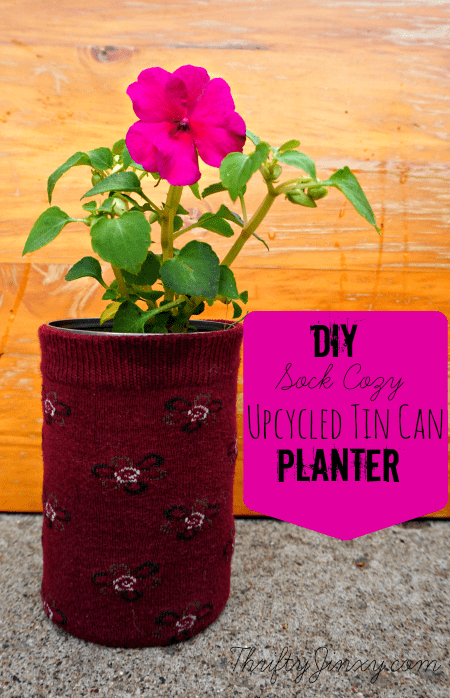 Chrysa used up empty tins and lonely socks form the mismatched pile to create a beautiful planter. This project is adorable! 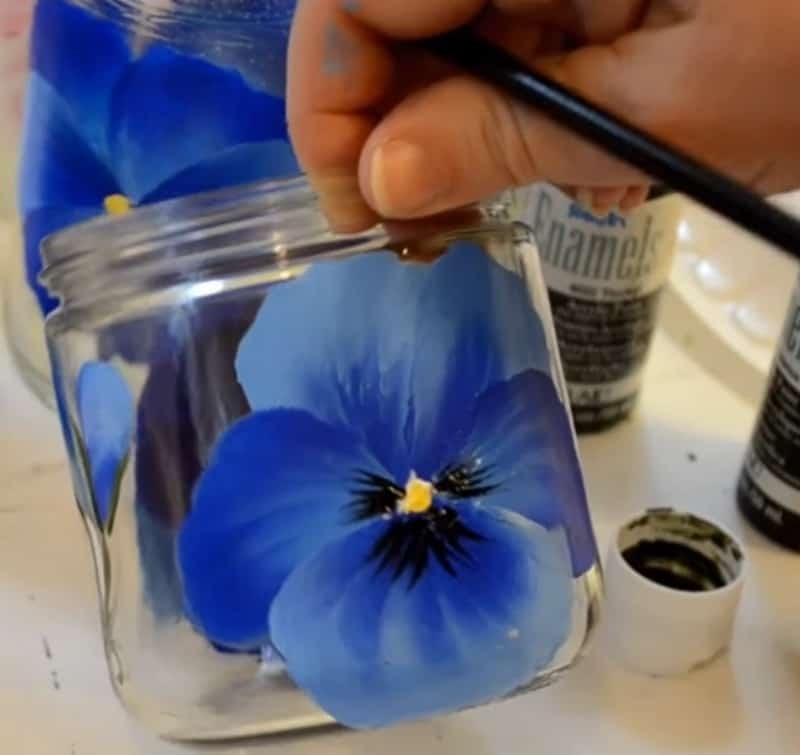 Pamela has tutorials on painting flowers on glass, and these pansies are literally popping off the glass. Gorgeous! Once you get your mind into recycling mode, you’ll see “gold” everywhere. That’s what happened to Richard when he walked by this broken bird bath. 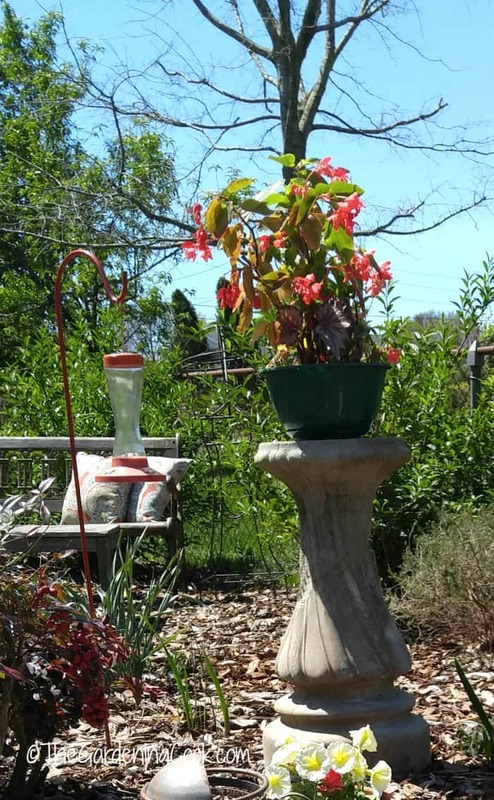 Take a look and see how he re-purposed it into a beautiful plant stand. 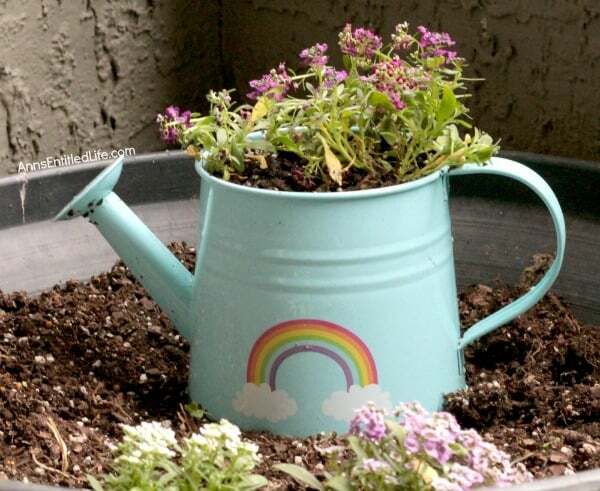 Did you get some upcycling garden ideas you’d lie to try? I sure hope so. There is so much potential out there to up-cycle (or recycle), and create beautiful items for your landscape! I’d love to see what YOU come up with. 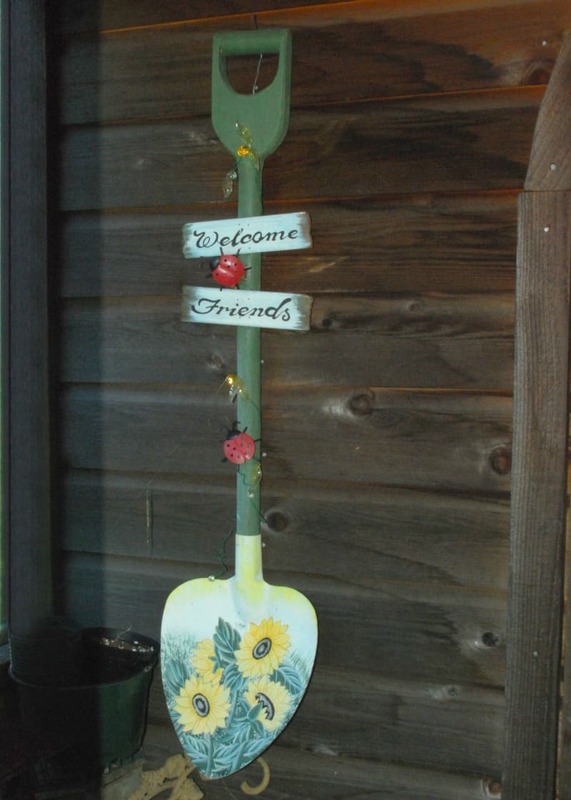 Do you have a recycled garden project? Share it here in the comments or on our Facebook page others can get inspired.